These are super easy to make and are a great healthy snack or dessert. 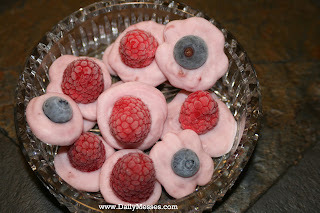 They take about 35 minutes (from creating to freezing). 1. Cover a cookie sheet with parchment paper. 2. 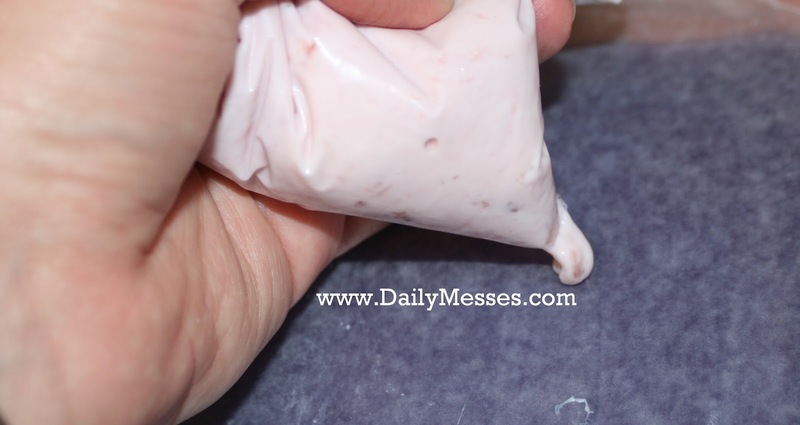 Fill a Ziploc bag with yogurt. (I used strawberry.) Seal and cut the tip off the bag. 3. 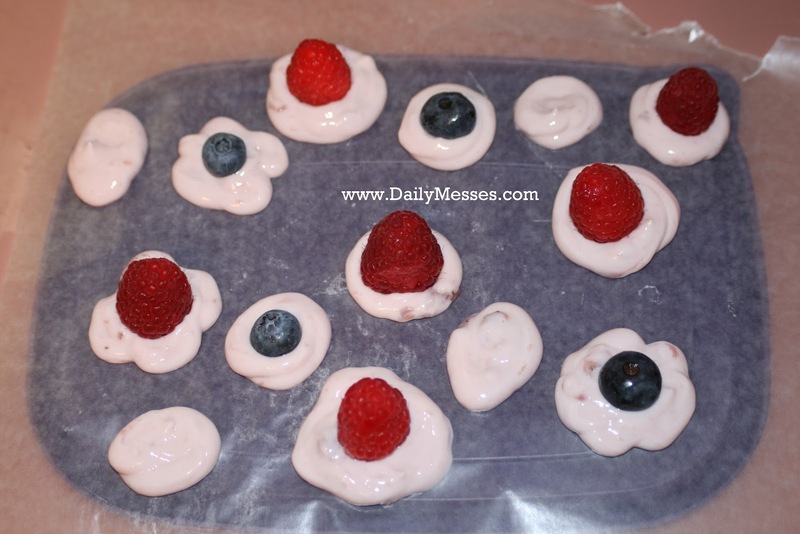 Pipe the yogurt onto the parchment paper. You want to make circles about the size of a quarter. 5. Freeze for about 30 minutes, or until firm.